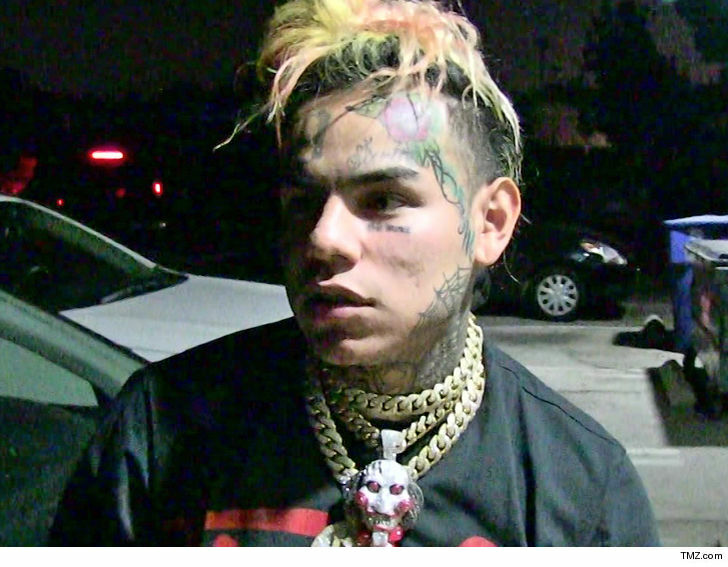 Tekashi69 is dropping a ton of cash to keep his family safe, which they’re most certainly going to need more than ever, now that everyone knows he’s cooperating with the feds and naming names. Sources close to Tekashi tell us, since his arrest in November, he’s spent thousands on personal security for his mother. We’re told, for obvious reasons, the rapper’s worried anyone looking for revenge against him … might harm her. TMZ broke the story … 6ix9ine pled guilty to 9 counts and did a lot of snitching in the process — implicating members of the Nine Trey Bloods in multiple crimes. For instance, he named the alleged trigger man in the attempted shooting of Chief Keef — and that guy’s since been indicted. She says the government would step in if, at some point, Tekashi can’t afford the security. As for his baby mama, Sara Molina, we’re told she has her own 24/7 armed security too … but she’s footing the bill. She told us on “TMZ Live” that she’s worried about their 3-year-old daughter’s safety, and added, Tekashi’s not in contact with them. He’s set to be sentenced next January, and his deal with prosecutors requires him to continue working with the feds … potentially painting a target on himself and his loved ones.